On the very last day, we passed dental therapy as a striker on another bill. 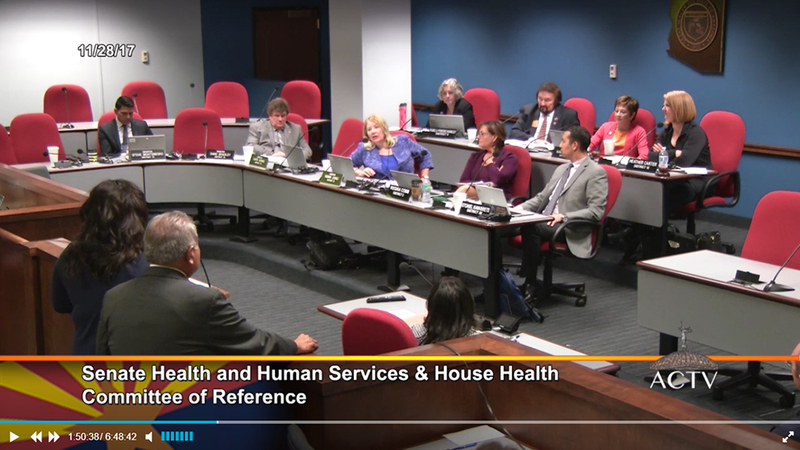 I played an integral role in getting dental therapy out of the sunrise committee hearing last fall. Going into the November hearing (pictured above), only Republican Senator Nancy Barto and I were supportive of dental therapy. After five hours of testimony, it passed out of the sunrise committee but had a rocky road in the Legislature. I’m glad it finally passed. I believe dental therapy is good public health policy because it will offer affordable dental care in rural and urban areas. This will expand access to care, prevent tooth loss, and offer a new career to residents of Arizona. Next articleWho Wanted the State to Spend Tax Dollars on the UA and ASU Koch Centers? How did the Dental association State representative on the committee react and vote on this bill? Do you mean Rep. Cobb? She fought dental therapy tooth and nail through the entire process. Yes. Thank you. She is of, course great buds with Gosar. Thank you Pam and Nancy for helping people obtain a vital basic health care need. Who says you can’t get anything done when you are in the minority?